I love combining moving with learning and one fun way to do that is by doing shapes yoga for kids. The yoga poses are your traditional yoga poses with a twist to make them easy for kids to relate to shapes. It’s a fun way for kids to kinesthetically work on learning! Each yoga pose represents a shape. Modify the poses as needed. Let the kids enjoy the yoga and be creative with their poses. If you really love this idea be sure to stop by the shop to get your ready made set of cards and printables for your own use! 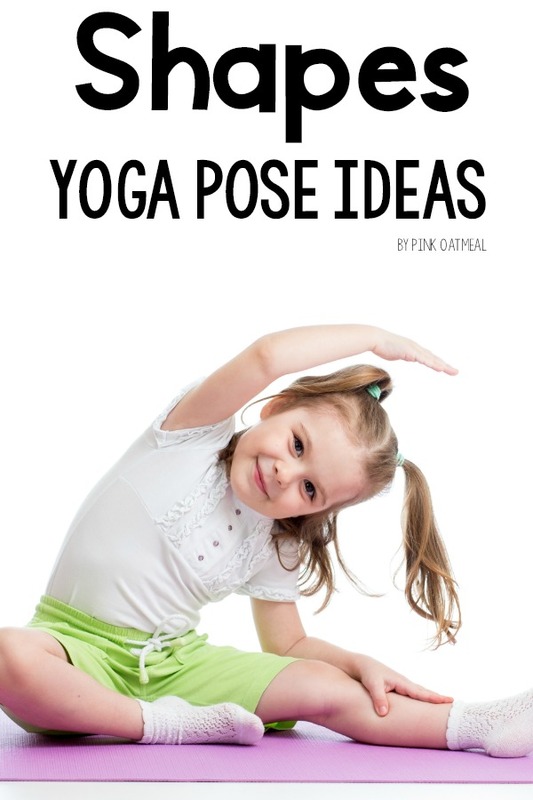 Check out more tips on yoga for preschoolers. or yoga poses for toddlers. Along with shapes yoga for kids it’s fun to add more movement games and opportunities for learning and moving. After doing your shapes yoga, try the Shapes Scavenger Hunt. Read all about the scavenger hunt here. We also liked to play the shapes game. Movement can easily be added to this game as well by having the kids move around the room to get their different shapes pieces. We also love moving and learning about shapes with all the different games included in the Shapes Themed Movement Pack. If you are ready to start moving and learning about shapes you are at the right place. You can get all of the shapes yoga for kids ideas in card format when you get the Shapes Themed Movement Pack. Not only will you be getting Shapes Yoga, but you will have several other games and ideas for moving and learning about shapes. 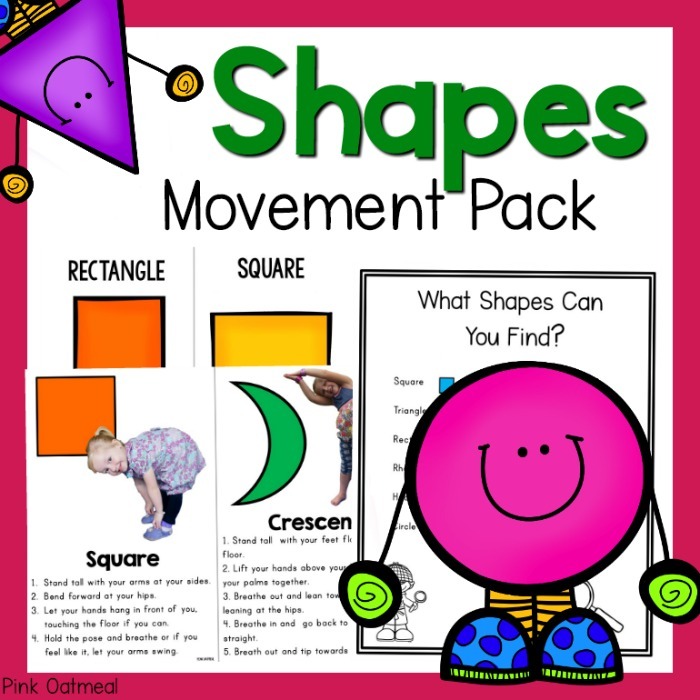 Get this pack in the shop now and have fun moving and learning about shapes!